Band wagon fans. They drive me crazy. I think if you have a team you like, you support them when they are up AND when they are down. If your favorite team wins the Super Bowl every year..for 20 straight year..then I hate to tell you that you have never learned what it means to be a fan. What it means to be loyal. Your father and I are Chiefs fans. We know what it means to “love them through the bad years” and some day when they have a great year we will be right along celebrating with them. It doesn’t matter if our team loses five games in a row, we support them because we like them, because we are fans, because we are loyal. Sure, people might eyeball your dad’s bright Chiefs jacket and shake their head –but he doesn’t care. He has a favorite beloved team and he won’t give up on them. When you pick a sports team stick with them. Honestly, if you can’t stick with something as simple as that–can you really stick with anything at all? What about that friend who has suddenly become the victim of teasing? How about that family member who just can’t seem to figure out where they are heading in life? What about your religious beliefs? I think being loyal to a favorite team should be simple in the light of those other forms of loyalty. 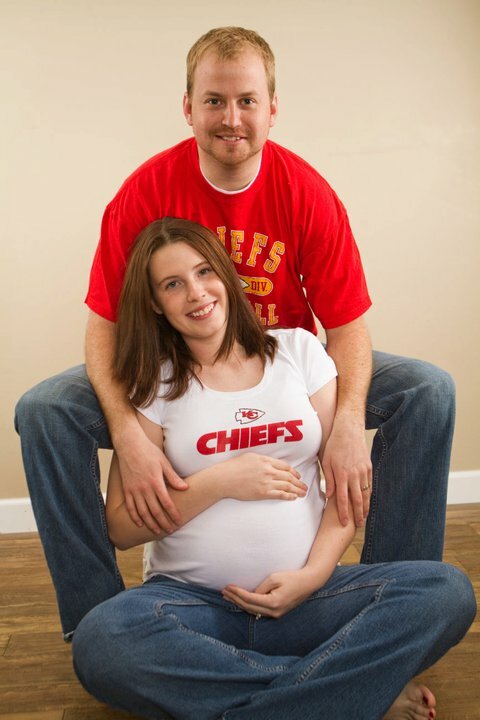 You can be a Chiefs fan with us or you can infiltrate our home with enemy apparel – just pick a team and stick with them! I want you to find things that you enjoy and are good at–and I want you to have a blast doing them. With that said, I also hope that you will challenge yourself to reach new heights, to not be afraid to challenge yourself, to not fear the fact that you may very well fail at something. It’s okay. Those things that we aren’t good at–have a lot to teach us. They teach us about humility, they help us to expand our skills and knowledge, they help us become better than we were the day before. This is coming from someone who hates being bad at things. I don’t have to be the best–but I want to at least be proficient at everything I do. It took me a long time to accept that sometimes that would mean having to work for it. I’m a horrible cook–but I’ve been working on it and while I’ll never be on “Top Chef” I can at least provide for my family now. It wasn’t always like that, and I still do things like burn rice, mix ingredients wrong, and make several other entertaining mistakes..but I’m getting better! Young daughter, don’t fear the edge of your comfort zone. Stretch yourself, push yourself, allow others to teach you, and don’t be afraid of not being “good enough” because for every thing you will struggle with you will find something else you rock at.